Beautiful location, great room (over the water). Very clean. Friendly service. 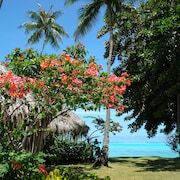 Situated on a white sand beach, this resort is two km from Cook's Bay, six km from Belvedere, and 17 km from Tahiti. 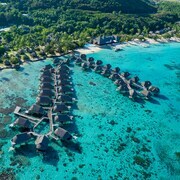 Great village close to the beach Amazing experience, very high class facilities, clean and tidy, deeply recommended for every kind of stay in Moorea. You’ve worked hard for your next holiday. You’ve earned it. Don’t sell yourself short by staying on an air mattress in a friend’s apartment, and don’t even think about pitching a tent. This city is jam-packed with accommodation so you’ll be able to retire to a comfortable bed after a day of exploring. 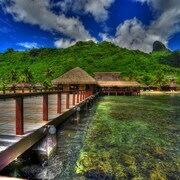 Find deals on Moorea hotels and book a stay now. Lay claim to your room like a miner would to his gold mine during your time spent at a Moorea hotels. Some might come with all the trimmings, like on-site spa service, workout facilities and a pool area. You’ll barely have to leave the grounds of the hotel. But if you do, you’ll be within walking distance of some major attractions. Explore the growing neighbourhoods outside the downtown area, or stay central and see what’s around the next corner. Head back to your hotel to utilise whatever amenities are available to you. You’ll feel like you never left home! We want you to enjoy your time spent in this city without breaking the bank—even if you’re booking a trip last minute. 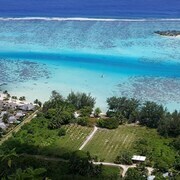 Browse the lastminute.co.nz discount offers for great hotels in Moorea and save extra money so you can add some pizazz to your time away.